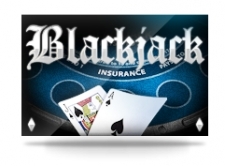 Blackjack is by far the most popular casino game in both the United States, Canada, and Western Europe, and online casinos have been perfecting their blackjack software for Macintosh over the past decade. Usually Mac owners have to use instant play software to enjoy blackjack, but download casino software for Mac has become more available in the last few years. We at MacCasino.net have had our network of Mac users play in online casinos all over the world to determine which are the best Mac compatible online casinos for blackjack. Below we provide you with a full list of the casinos that received the highest marks for their blackjack software, and games that look beautiful on Apple computers. #1 100% up to $1,000 VISIT! #2 200% up to $5,000 VISIT! #3 400% up to $4,000 VISIT! #4 50% bonus up to $200 VISIT! #5 100% up to $747 VISIT! #6 100% up to $787 VISIT! #7 100% up to £100 VISIT! #8 200% up to $2,0000 VISIT! #9 100% up to £300 VISIT! #10 100% Sign Up Bonus, Up to $200! VISIT! 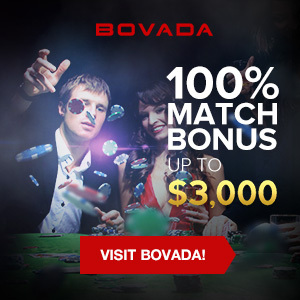 #1 100% Match Bonus up to $400 VISIT! #2 400% up to $4,000 VISIT! #3 100% Sign Up Bonus, Up to $200! VISIT! #4 100% Sign Up Bonus - up to $125 VISIT! #5 200% up to $2,0000 VISIT! #6 200% up to $5,000 VISIT! #7 100% up to £300 VISIT! #8 50% bonus up to $200 VISIT! #9 100% up to £100 VISIT! #10 100% up to $1,000 VISIT! We have played literally thousands of hands at numerous online casinos to provide you with a full list of the different blackjack games that are available on the internet today. There are subtle differences between each, and there are various rules that you should read before playing. Blackjack Switch is a relatively new version of the game that was invented in 2009 by Geoff Hall. Some feel that this is a much more exciting game than traditional blackjack as players are each dealt two hands instead of one and have the ability to switch the top cards from hand to hand. As a result of the better odds to the player, blackjacks only pay 1:1 rather than the normal 3:2 and if the dealer has a hard 22 that pushes all hands except a natural blackjack. Blackjack switch can be played with four, six or eight standard 52 card decks which are mixed together in the shoe. Some versions of blackjack have the option of surrendering the hand after a player has seen their hand, and the dealer has checked their hole cards for a blackjack. If the player chooses to surrender they have half of the amount of their bet returned to them, with the house taking the other half. As typical with anything Spanish, the game of Spanish 21 has numerous rules that benefit the player and not the house or “controller” of the game. The most astounding rule of this variation of blackjack is that players can choose to double down on any number of cards, rather than being restricted to only having this option after seeing their first card. Additionally, players can receive bonus payouts for receiving five or more cards that equal 21, late surrenders, and players always win with a 21 or blackjack. In exchange for the loose rules there are no 10s in any of the decks, although the Jacks, Queens and Kings remain. Chinese blackjack is similar to standard blackjack and is known by many different names such as ban-nag, ban-luck or 21-point. As the name suggests, it is mostly played in South East Asia during Chinese New Year, and is also quite popular in the villages of Malaysia. As Chinese blackjack is usually played among friends, the game was born out of people not wanting to play by the rules of a traditional blackjack dealer. Therefore in this version the dealer has the power to reveal hands as they wish, settle bets, and then re-hit their own hand. Chinese blackjack also has many mini-prizes for acquiring certain predetermined card combinations such as pairs or a three of a kind. If you’re looking for a free and easy way to keep your Mac desktop organized, the Hocus Focus app lets you clear the clutter and get focused on your work. Your Mac Address Book helps you keep track of more than just your general phone and address contact information. You can track websites, chat names, and even the people in your contacts’ lives, and we’ll show you how to get your Address Book started. If you’re looking for a way to organize the desktop on your Mac, the Spaces feature lets you arrange your apps and programs across as many as 16 different virtual desktops. There is nothing like the panic you can feel if you accidentally lost a file on your Mac, but we’ve got some steps that can help you recover those files and calm that anxiety.